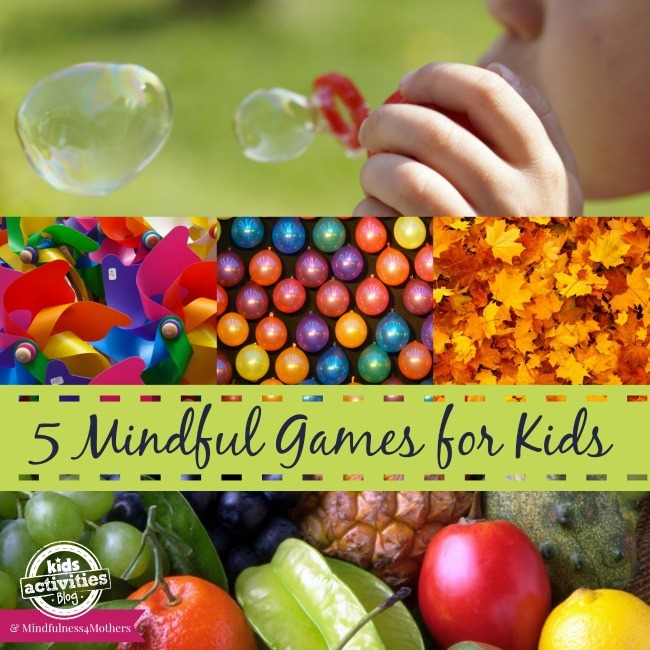 5 Mindful Games for Kids - Fun with Benefits! You are here: Home / Fun Activities For Kids (By Age) / Activities For Elementary School Kids / 5 Mindful Games for Kids – Fun with Benefits! 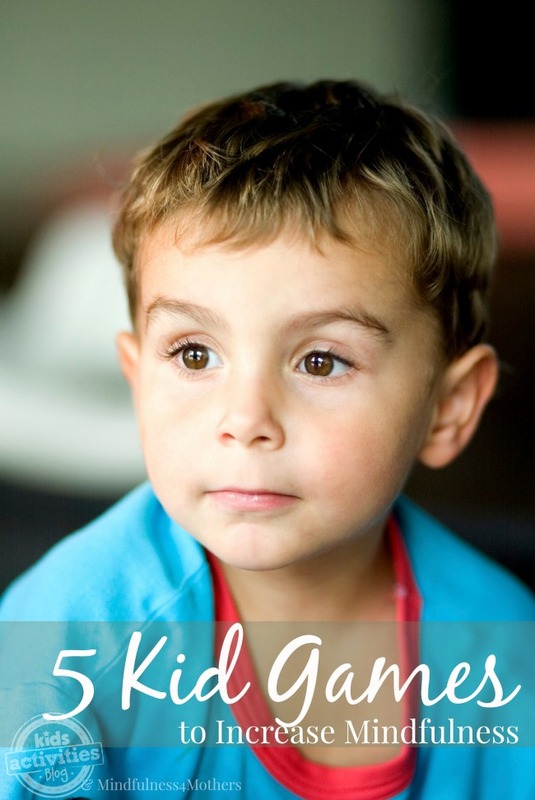 5 Mindful Games for Kids – Fun with Benefits! Have you ever driven somewhere and not remembered the path you took? Have you ever walked into a room and forgotten what you wanted? Have you ever read a page of a book and realized that you can't remember what it's about? If you have experienced any of this, then you already know what it means not to be mindful; to miss moments of our lives that we can never get back. Mindfulness is simply the art of paying attention. It requires that we slow down and learn to bring stillness to our busy minds. When we are mindful we are paying attention to what is happening right here and now. And we can choose where we direct our focus, placing it on something helpful and moving it away from something unhelpful (like distracting thoughts or activities). It's a powerful way to live. We can use any of our senses to help us focus on the present moment. Paying attention  rather than being distracted by a past we can't change, or a future we can only imagine, we taste our food more, listen more closely, work more efficiently and notice more about ourselves, each other and the world around us. We are engaged and connected to our own lives and the lives of our children. It can be difficult for children to switch from their hectic daily schedule to the quiet mindful state that their growing brains and bodies need. Observational skills: Helping our children tune in and notice their inner and outer world sets them up for greater success and a richer experience of all life has to offer. They can pick up on greater subtlety in conversation, gather more information for problem solving and respond to situations with greater skill. Concentration: Developing their ability to sustain their focus for longer is so important for learning. Their teacher's will appreciate it too! 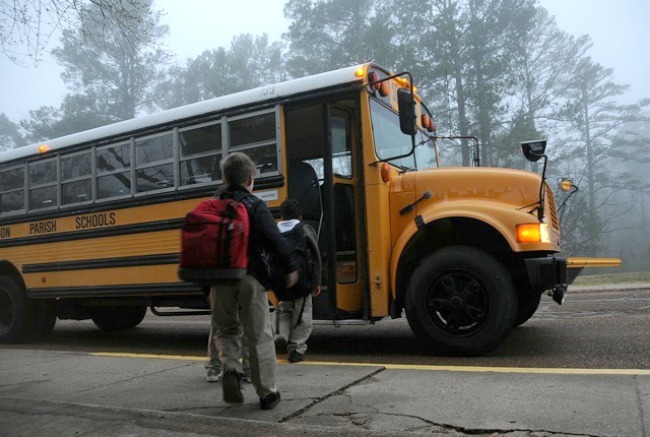 Rest and Relax  brain state: Our kids are often exhausted. It's important for their learning and growth that they have the opportunity to regroup and give their brains and bodies time to renew. This shouldn't only be happening at night when they sleep. Safety: A child cannot explore and learn when they are under any stress or threat – so we need to ensure children feel safe for optimal development to occur. 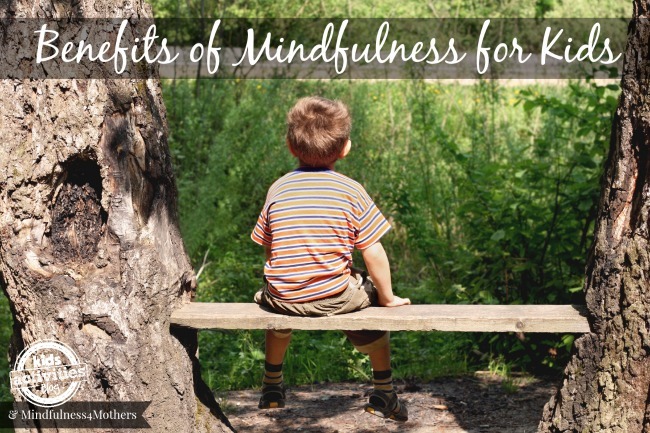 Mindful activities help create a steady and safe feeling for children of all ages. Soothe Emotions: Children have so many demands on their emotions during the day. And they are still learning how to understand and manage them! Learning how to recognise and soothe their own emotions takes time but is a life skill worth investing in. It helps develop resilience. And it offers protection from stress, anxiety and depression down the track. Feeling Kind and Connected: Children who are tuned in  to their own emotions – and don't feel overwhelmed by them – are more likely to notice and feel empathy towards others. This reduces the occurrences of bullying, enables stronger friendships and develops advanced social skills. It supports caring, kindness, generosity, gratitude and enjoyment of other people's happiness. Winding Down Before Sleep “ I will share a special soothing nighttime routine I have that helps children wind down before sleep. It also develops that kind and connected feeling “ not just in them but in me too. I just love it & will go into more detail in my next blog here at Kids Activities Blog. Whilst many schools are now teaching mindfulness to children, there are many mindful games you can play at home from a very early age. They are fun and also foster the benefits listed above. blowing bubbles: This is a lovely way to slow things down. Encourage your kids to breathe in deep ¦ ¦ and out slowly ¦.. and watch as they become engrossed in the slow, gentle movement of the bubbles they blow. If your children are too young to learn how to blow bubbles, you do it for them and watch them follow them as they float away. This is a sensory experience for body and mind and takes them away from the analytical mode of learning. pinwheels: Like the exercise above, this is a breathing practice that also captivates their visual senses and slows things right down. Easier and more colourful than blowing bubbles, it galvanises their focus, develops concentration and encourages stillness. playing with balloons: This looks like a slow motion movie to watch. Play with just one balloon per child and pop them gently into the air with your hands, trying to keep them afloat. This is a good way of slowing down more active kids who still might need a little more movement to keep them engaged in mindful games. Their whole body and mind is engaged on a single focus. You can help keep the game going by keeping the balloon in play if it floats out of their reach. texture bag: This is a tactile guessing game that engages their attention and curiosity and you can change the items each time you play. Place a collection of small, familiar objects of various textures into a bag (a rock, stick, leaf, marble, a squashy and fluffy toy etc). Have each child reach into the bag and feel something without taking it out of the bag. Have them describe it and guess what it is. blindfolded taste tests: Do this with a variety of foods: vegetables, fruit, and dried fruit. Investigate one food item, such as a raisin, or a cranberry, using all of the senses, (sight, hearing, touch, smell, taste), as if you have never experienced it before. Its best not to use any tastes that they would dislike – like salt or chillies! If you can bring a gentle, light-hearted approach to these games your kids are more likely to do them again and again. And you will be able to develop their mindfulness habit! Of course this is much easier to do if you are taking care of yourself and have your own mindfulness habit. Our mindfulness4mothers program helps you learn from experts in the comfort of your own home. What mindful activities do your kids enjoy the most? Stop by our FB page and let us know! Previous Post: « These Tiger Cubs Taking A Bubble Bath Are Going To Make Your Day!